How to access sites that are blocked ? With so many norms in place it’s quite difficult to access the volatile sites, which risks your privacy online. There are times when you have to access sites that are blocked for N number of reasons by the government directly or via ISPs. If you want to access blocked sites without compromising on your privacy this guide will help your be above this hurdle. This guide will help you connect to blocked sites for free and with no clumsy steps to follow. VPN helps your connection stay secure when you are surfing online, i.e. the data your share from your PC to the server and back to your PC is encrypted with VPN in action. VPN doesn’t allow tracking of your IP and if there is any content that is blocked for any reason (s) with the help of VPN you can access it with ease. How to have the sites accessed ? You do not have to install any third-party software, any extension or any unusual method for doing this. Opera has recently integrated a free VPN to it’s browser and it’s completely free for the users. You just have to install this browser and navigate to settings > Privacy and security and simply check the Enable VPN check box and that’s it. You can download the patch from here. 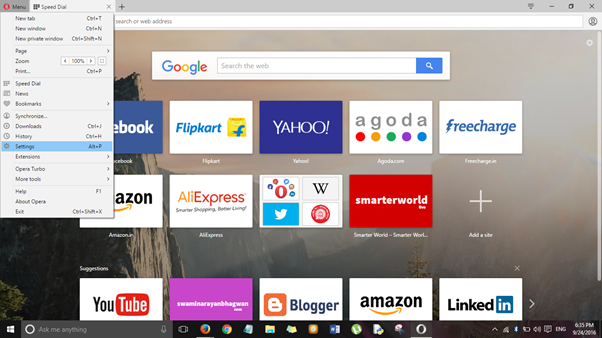 Whenever you browse the net you will see VPN badge top left of the URL bar. So browse seamlessly, any site, any time. Clicking on the VPN badge (blue when active), will show you the details for the VPN data transfer, where you can select a virtual location. 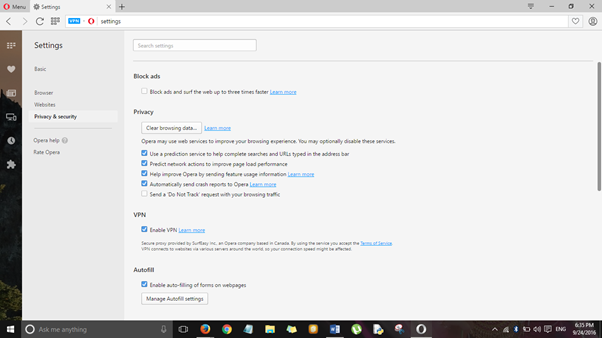 Another free software available to let you access the blocked sites is Betternet. This software is one stop destination for allowing your PC to access any blocked sites, without any restriction and more over it’s free and unlimited. Accessing few of the sites are not usually safe, but with this VPN enabling software you can surf all the sites seamlessly. In this software too, you can switch between various servers available across the globe which lessens the chances of getting your PC traced. This service is available for free on all the major platforms. You can download this tool for Windows. This is available for mobile devices too. Single click interface for full access. Various virtual locations for multiple options and more secured data transfer. That’s it for now smarties, go get yourself a full access of all the sites. Share this with your friends and let them access this tool too I know you’re smart, you’ll surely share it. Should you have any doubts ? Place it in the comments section. I’ll get back with answers right away. ← One plus three review – Why you should definitely buy it?